New Years Eve is a few days away. After Christmas you may not have a hundred dollars per plate to plunk down for a meal and a glass of champagne and it may be difficult to find a baby sitter on New Years Eve. You could stay home but you don't want to fall asleep again waiting for the ball to drop in Times Square. So what is a person with kids to do on New Years Eve. How about First Night. What is First Night you might ask. Well For close to 20 years, First Night celebrations have attracted thousands of people to parades, musical and dance performances, storytelling and magic shows. Some of the communities hold their activities on site while others use numerous venues nearby. “First Night celebrations are a great way for families and friends to bring in the New Year while enjoying a diverse selection of entertainment that includes performances for adults by local artists and children’s attractions,” said Nancy Byrne, executive director of the New Jersey Office of Travel & Tourism. 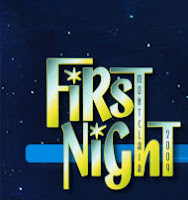 First Night seeks to foster the public's appreciation of visual and performing arts through an innovative, diverse and high quality New Year's Eve program, which provides a shared cultural experience, accessible and affordable to all. The price of admission varies in each community, ranging from $5 to $15 per person. Many offer discounts for children and for those buying in advance.